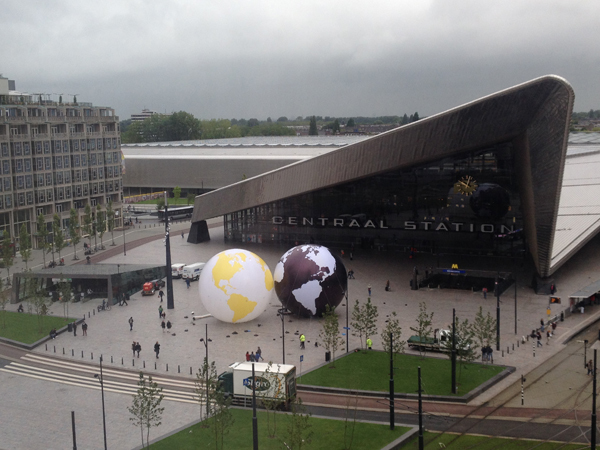 Two of our installation team Joe and Julian have been to Rotterdam this week to install two ENORMOUS inflatable spheres which were designed for our client to look like Globes. One of which was inverted. 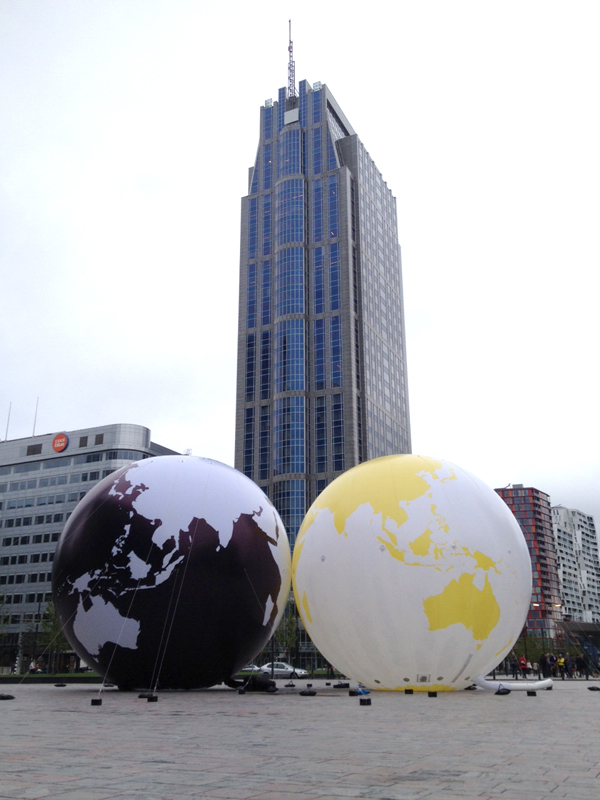 The two globes were used for a photo shoot in the centre of the city outside the central station. 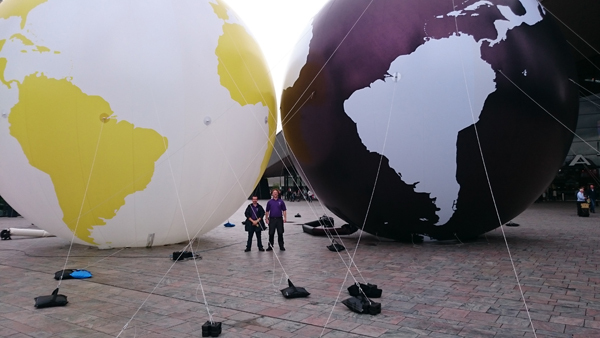 Well done team for another successful installation and happy client!